Captain Chadwick was born in Bethesda, Maryland and was raised in a Navy family. He is a 1991 graduate of the United States Naval Academy. Captain Chadwick began his career at sea aboard USS BARRY (DDG 52) as gunnery officer and then Navigator. Follow-on sea tours included duty as Weapons Officer and Combat Systems Officer in USS VICKSBURG (CG 69), Executive Officer in USS PHILIPPINE SEA (CG 58), and Chief Staff Officer, Destroyer Squadron 24 in Mayport, Florida. Captain Chadwick assumed command of USS ROOSEVELT (DDG 80) in November 2009. During his command tour, ROOSEVELT deployed in support of operations off the east coast of Africa and was awarded the Battle “E” for 2010 and 2011. Most recently, he commanded Destroyer Squadron 21, completing a deployment to Seventh Fleet with JOHN C STENNIS Strike Group. Ashore assignments have included the Naval Postgraduate School in Monterey, CA, duty as Flag Aide to Director, Surface Warfare Division, Office of the Chief of Naval Operations (N76) and Flag Aide to Commander, Naval Sea Systems Command, strategic planner at U.S. Southern Command in Miami, Florida, Deputy Executive Assistant to the Vice Chief of Naval Operations, National War College in Washington, DC, and Director Commander’s Action Group, Commander Naval Surface Force, U.S. Pacific Fleet. 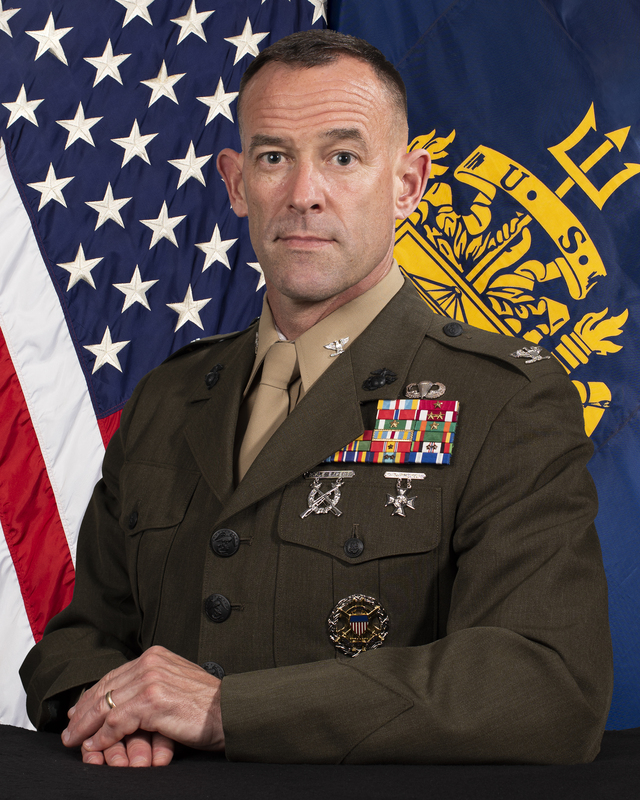 Captain Chadwick earned a Masters Degree in National Security Affairs, Middle Eastern Studies from the Naval Postgraduate School and a Masters Degree in National Security Strategy from the National War College.